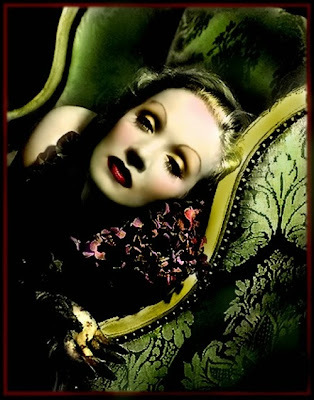 The Lady Eve's Reel Life: Happy Birthday, Marlene Dietrich! 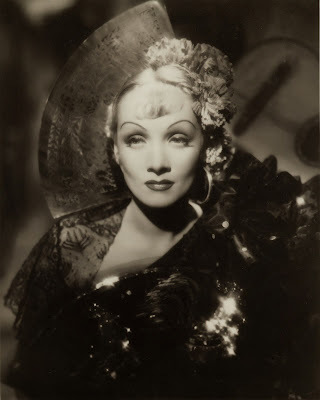 As a child, Dietrich contracted her first name, added her nickname (pronounced Layna) and became "Marlene"
I've long been fascinated by the Dietrich persona and have extravagantly enjoyed and admired the seven films she made with Josef von Sternberg, the first for UFA in Germany, the rest for Paramount in the U.S.: The Blue Angel (1930), Morocco (1930), Dishonored (1931), Shanghai Express (1932), Blonde Venus (1932), The Scarlet Empress (1934) and The Devil is a Woman (1935). She has been the subject of several blog entries here. My earliest Dietrich posts for Reel Life were published in a series on the von Sternberg/Dietrich partnership - Light, Shadow and Synergy, Part I, Part II and Part III - a reflection on the films they made together and the nature of their collaboration. I am regularly tempted to revise the whole thing but fear that if I do the series might grow to four, five or even six parts. Recently, though, I came upon this piece by Anne Helen Peterson, a wise, witty and wicked assessment of the fabulous star, and decided to leave well enough alone. 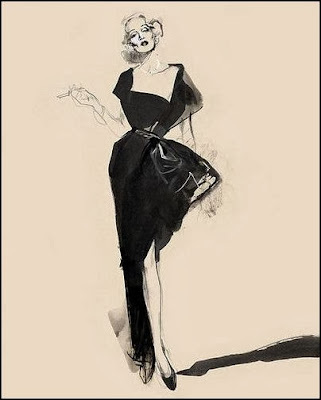 Eve, actually it was fun to revisit your posts about Marlene and Sternberg. 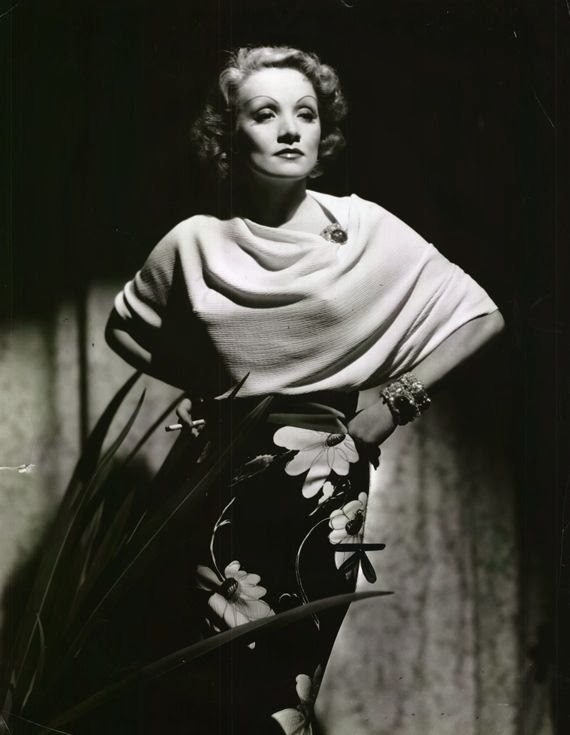 But I do love Marlene's thought and am pleased that I now share something with her in regard to fashion. I dress for the image, too (well, assuming that the image is sweat pants). So...you're not dressing for yourself, your public, fashion or for women - strictly "the image" - admirable, Rick! Thank you Lady Eve for the reference to Anne Patterson's piece, which I mean to read, along with all your previous posts. Dietrich was a very complex woman, for all her emphasis on image. In any event, I'll probably focus on that very image myself in a subsequent blog post. Christian, I look forward to your post on the Dietrich image (you never disappoint). This woman is so quotable - she was a marvel and an inspiration! 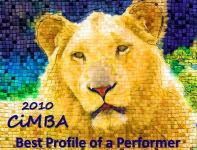 And I just love that color photo you used - I am going to steal and share!! You are so right - I could probably do at least one post strictly made up of Marlene Dietrich quotes. That photo is gorgeous isn't it (feel free to "steal and share)? Eve, I remember well your von Sternberg/Dietrich work, and it was truly great. Her remark about dressing for image is so Dietrich. I'm afraid that I'm with Rick, though -- my image today consists of a warm robe and fuzzy slippers! That colorized photo is really gorgeous. Well, I've been away but I'm back and happy about it. I look forward to more wonderful stuff from you. Thanks for the ring in to the new year, and Happy New Year to you! Thanks, Becky. Personally, I am fairly past dressing for any image I ever had (ie, "professional woman"). Doesn't sound like Marlene ever got to that point. Wishing you a sensational 2014, my dear! 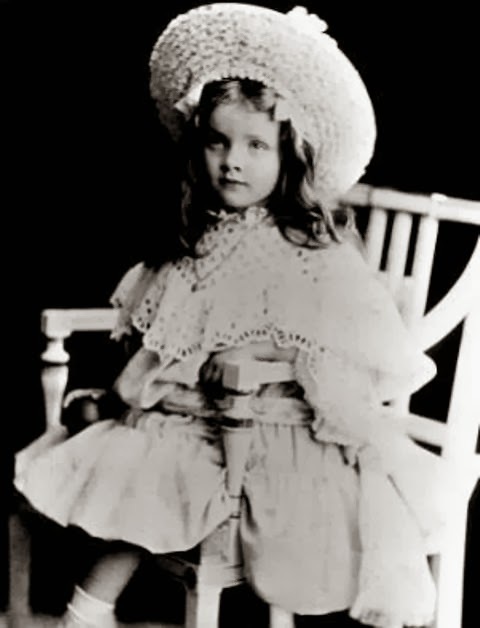 I've never seen a photo of Marlene as a child. She looks adorable in that voluminous dress + hat! 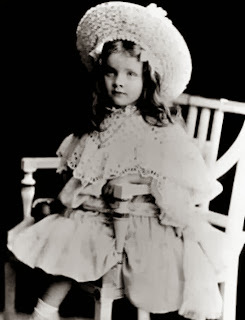 She was a fetching little thing, even as a tot - and I'm sure she knew it!